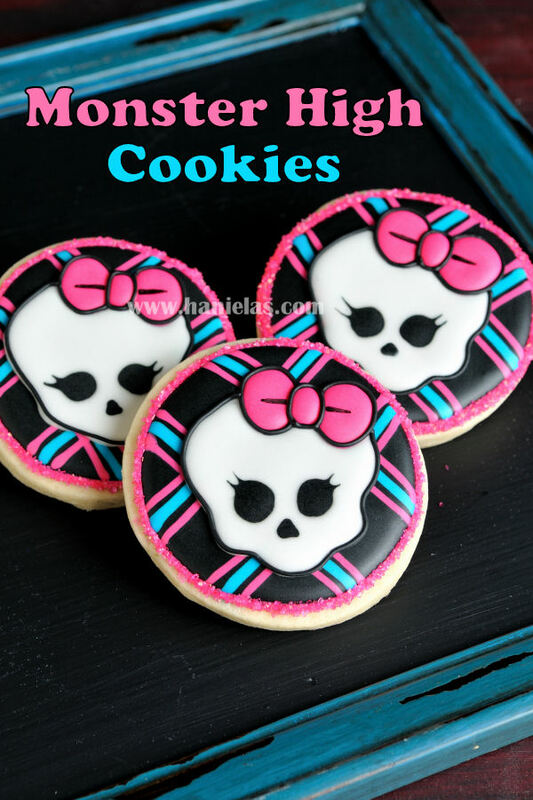 When a 20+ years long time friend emails you and is in the need of very special set of cookies for her daughter’s birthday you say : ” Yes, I do(have time to make them for her)!” I just love decorating cookies and making special treats for kids. Josie turned 7, and though we couldn’t be there to celebrate with you, we hope you had a wonderful birthday. I’ve heard you got a haircut and mommy made you a beautiful cake decorated with the cookies I sent you. I remember when you were just turning 2, sitting in our back yard eating cherry tomatoes from the garden. Even though I’ve heard about Monster High before I wasn’t really familiar with the designs and patterns associated with this doll franchise. I found simple templates that I customized to fit my cookies and baking was under way. 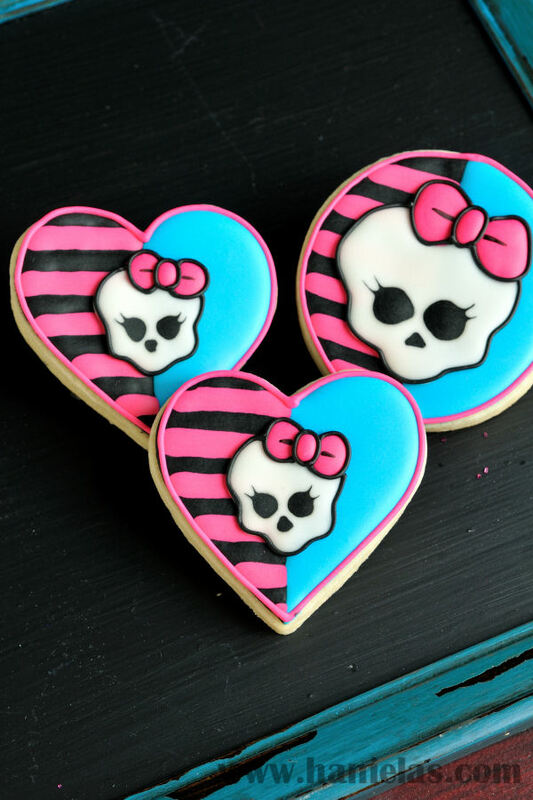 Today I’m going share with you how to make round Monster High Cookies with simple stripe pattern and white skull image on the top. 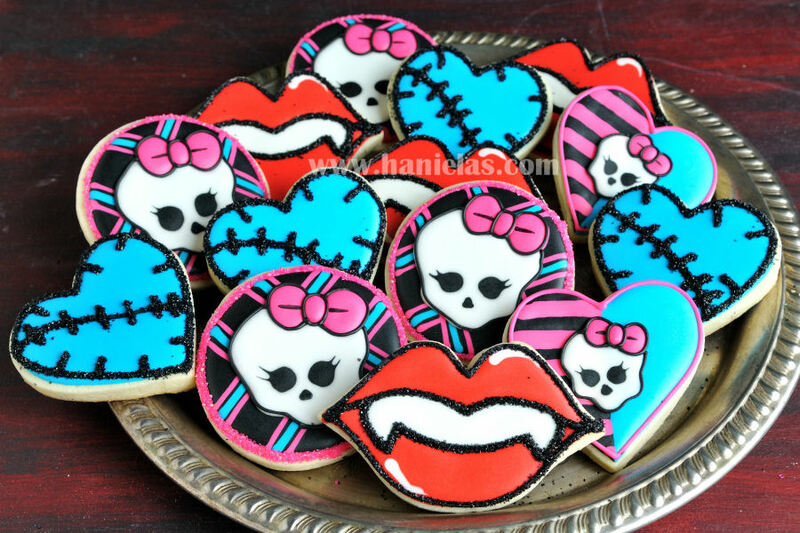 Heart Monster High Cookies Tutorial is available for Haniela’s Patrons on Patreon. Learn how to become a Patron, have access to templates and exclusive tutorials.